Changing the oil in a transformer is a long challenging process. There are a number of steps that must be followed to protect the equipment and maintain safety standards. By changing the oil, the transformer can be checked for problems and cleaned before putting it back into service. This process also helps reduce moisture buildup inside the transformer which can cause premature failure if left unchecked. Working with large transformers can be very dangerous and should only be handled by professionals. 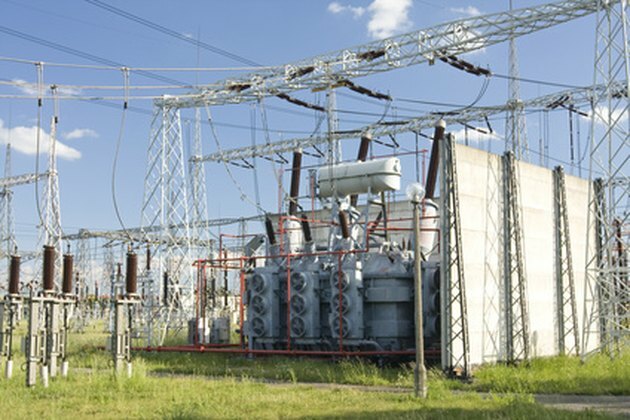 Changing the oil in substation transformers requires careful coordination. Shut down power to the transformer and ground all of the metal equipment that will be involved in changing the transformer oil. Check the manufacturer's procedures to make sure all safety precautions are followed. Test the transformer insulation and look for signs of shorts or damaged windings. If everything checks out, drain the transformer oil. Once the oil is drained, proceed with flushing out the inside of the transformer. The objective is to get as much of the old oil out as possible. Replace the transformer drain plug and refill the unit with fire retardant oil. Wait four to five hours and then retest the transformer insulation. After the second insulation test, allow the unit to sit overnight. Check for leaks the next morning. If no leaks are detected, energize the unit with out a load. Let it sit energized for at least three hours and then add the load. Recheck the unit the next day looking for leaks, pressure and temperature deviations.